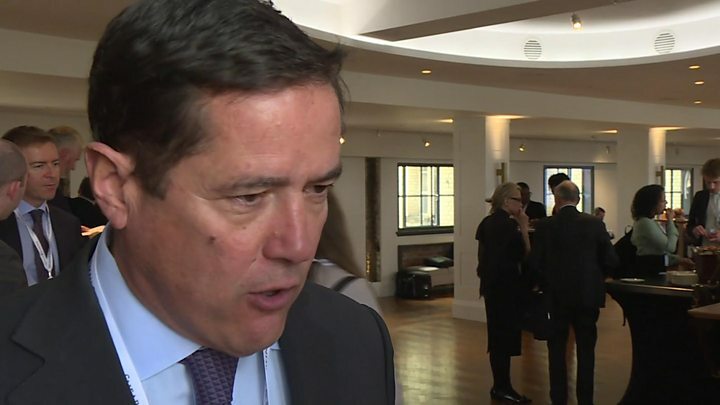 Barclays chief executive Jes Staley has said access to talented workers after Brexit is “tremendously important” for the UK’s financial sector. He suggested that immigration, rather than trade, would be the biggest issue for the City of London after the UK leaves the European Union. Banks are increasingly becoming technology companies and so they need the best engineers, Mr Staley said. Keeping that talent should be the government’s top priority, he added. So-called passporting rights allow banks to serve clients across the EU without the need for licences in individual countries. They are considered by some to be vital to London’s position as a financial hub. However, Mr Staley, who was speaking at a Brexit event in London, said the strength of the City came from the “intellectual capital” of its workers. The Barclays boss also described Google’s decision to expand its London presence as potentially “the most important economic announcement post-Brexit”. He said banks would benefit from the calibre of workers that Google attracts after it made London its second most important development hub outside of San Francisco. It’s been commonly assumed that banks are most concerned about their ability to sell their services into the EU from London – so-called “passporting” – but today’s comments show priorities are changing as the chances of retaining those rights look all but dead. Both Mr Staley and the chairman of HSBC, Douglas Flint, said that contingency plans to deal with the passporting issue were close to being triggered. Both men seemed sceptical that enough clarity on the future shape of the UK’s relationship would emerge in time for them to put on hold plans to move jobs and functions into the EU. Barclays is planning to move at least 150 jobs to Dublin , which will become a fully fledged European subsidiary. HSBC has already announced plans to move 1,000 jobs to Paris . Read more from Simon’s blog.